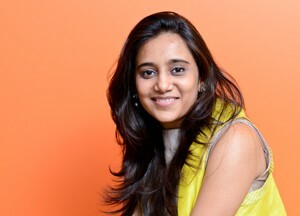 AVNI BIYANI, 26, THE YOUNGER DAUGHTER OF Kishore Biyani, the CEO of Future Group, has been revolutionising the retail food scene ever since she started working with Foodhall. For Avni, the concept head of Foodhall, joining business at the age of 20 didn’t come as a surprise, as it was “not a drastic step, but a smooth transition”. We meet Avni at her office in Vikhroli, Mumbai, to learn more about Foodhall, her future plans and herself. 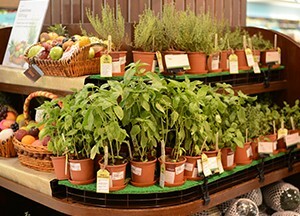 Foodhall was launched in 2011 in Mumbai as a high-end food and lifestyle store for the well-travelled urban consumer with a penchant for global food. In the last five years, Foodhall has become synonymous with premium and exotic ingredients, with a presence in New Delhi, Gurgaon, Mumbai, Pune and Bengaluru. The gourmet store offers fresh and packaged food, dairy products that include the finest cheese, exotic fruits, vegetables and herbs, an assortment of chocolates and premium kitchen accessories under one roof. 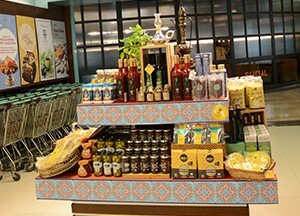 Foodhall has made food retailing exciting and upscale. Products, which were not available earlier, now have entire rows dedicated to them. “For example, we started bringing in Hass avocado and selling it to consumers. Each Foodhall store now sells around 60 kg of Hass avocado at R1,500 per kilo every week. I consider this an achievement,” she says. Foodhall has not only brought in high-end products such as white asparagus, blueberries and cherries, but also sold them successfully. It has played a very important role in creating a market for such products. Although all expectations in terms of revenue, margin, and location of stores have been met, there are no plans of opening stores in new cities. Avni instead wants to expand Foodhall’s presence in the existing cities. “We have very exciting plans for the year ahead, which includes creating a digital presence,” she says. 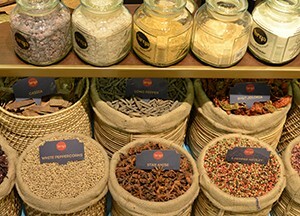 Foodhall was launched to cater to the discerning customer who couldn’t identify with Food Bazaar [also by Future Group] and who wanted niche ingredients and an unhurried shopping experience. “We knew there was demand for raw apple cider vinegar, miso paste, Taleggio and Parmesan. We also realised we needed a separate space to bring these high-end ingredients to customers, and Foodhall was created as an experiment,” Avni says. “Yes we did think there were customers who were ready to experiment with food. We did spot the trend and it is only becoming stronger,” she adds. Avni attributes her entrepreneural acumen to her Marwari background. “I think every Marwari possesses a sense of business and a strong set of values,” she says. For Avni, who attended office from a very young age, there never really was a distinct divide between work and home space. No wonder the transition from a student to an entrepreneur was smooth. “Me and my elder sister Ashni practically grew up in the stores. During college, I used my summer vacations to shadow dad at work,” she says. Being the younger daughter of industrialist Kishore Biyani, Avni has often been questioned on how she copes with the pressures of living up to the family name. But the free-spirited, young entrepreneur is not one to be troubled by such queries. “I don’t dwell on these remarks. In fact it pushes me to perform better. I try to live up to not just others’ but also my own expectations,” she explains. be it sampling, assortment, or display of merchandise. “I think Foodhall has to now unlearn certain old habits and do something different. We are always introspecting and trying to discover how we can do things better. And sometimes to do so, one has to unlearn and relearn. Every time we launch a new brand or store, there’s some amount of unlearning, a certain amount of introspection and new learning. Learning is a constant process and that’s the only way to evolve,” Avni says. After schooling from Dhirubhai Ambani International School, Mumbai, Avni went to New York University, where as an undergraduate she pursued politics and sociology. With no educational background in business, she learnt everything hands-on. 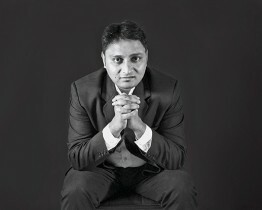 Avni’s smart thinking and risk taking attitude have taken Foodhall from strength to strength. After the second Foodhall was set up in Bengaluru, she decided to import tomatoes from Holland. “They cost R2,500 per kg. My mother thought I was crazy to expect people to buy such expensive tomatoes,” she laughs. “But, I trained the staff members on how to sell them. We sliced them, placed them on baguettes, and drizzled extra virgin olive oil and sea salt on them. Customers standing around were impressed and bought the tomatoes,” she says. Talking about women entrepreneurs, Avni says it takes a lot of dedication and determination for a woman to make it big. 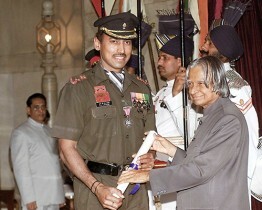 “There are certain expectations that society has from women, and for them to balance both home and work is commendable. I feel women are capable of achieving a lot,” she says. However, Avni strongly believes that entrepreneurs face demanding situations, irrespective of their gender. For a person who thinks being a woman is her biggest strength, Avni employs more women but tries to create the right synergy between the two genders without stereotyping them. She says, “Foodhall is a brand that requires a softer side, a knowledge and passion for cooking.” She makes sure the staff members share the same enthusiasm and energy that she does, and that those get translated on to the shop floors and finally to the customers. However, the interesting part is that the store sees a lot of male shoppers, especially on weekends. “A lot of men enjoy cooking for friends and families. If you visit Foodhall on a Saturday or Sunday morning, you will actually see a lot of them,” shares Avni. She prefers to keep her team small and personal, with around 30 employees in the head office and more than 320 in the stores. What propels Avni is a new reason to go to work each day, and she feels it is the same with most business people. Not content with a monotonous working style, Avni likes to keep her team members enthused with new tasks. No wonder she has already set a benchmark in the food industry. “Motivation evolves over time, and though numbers do drive us, there’s nothing like being able to do things differently in the industry,” she says. Not much of an advocate of luck, Avni lays more emphasis on timing. “Had we done Foodhall 10 years ago, it might not have been so successful, because may be the timing wouldn’t have been right, or the market wouldn’t have been ready,” she explains. 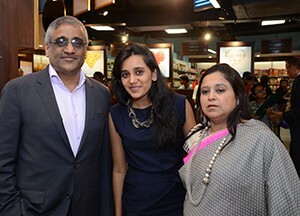 Blessed to have an industrialist like Kishore Biyani as guide, Avni learned the ropes of business very early in life. She grew up in an atmosphere where discipline and organisational skills were the very basis of work and life. Ever since she joined business, she was taught the importance of relationship building. “My father always told us that whenever someone approaches you for work or collaboration of some sort, your initial response should never be a ‘no’. You never know who you end up meeting or where life takes you.” Avni says, sounding wise beyond her years. With huge store spaces, live cooking, exotic and rare ingredients, Avni feels Foodhall is way ahead of other players in the food retail market. “There’s no competition really, and I say it with a lot of humility. No other store has been able to replicate the kind of experiences we bring to our customers,” she says. While the key stores occupy an area of 10,000-14,000 sq ft, the smaller ones have an area of 6,000-7,000 sq ft.
Avni’s involvement in Big Bazaar has increased in the last couple of years. Work pressure has made her put leisure travels on the back burner, as she flies from one place to another—Bhubaneswar-Bhopal-Vijayawada-Visakhapatnam-Lucknow-Guwahati. “I love visiting towns; I think that’s where the real energy and the real future of India exist,” she says. Just 26 and at the helm of her business, Avni has already mastered the art of balancing her work and personal life. Her day begins with a yoga session, after which she comes to office. On days she visits the store and has friends coming over to her place in the evening, she picks up ingredients to cook for them. “I enjoy cooking… I cook regularly,” she says. When she isn’t working or experimenting with her culinary skills, Avni likes to travel and tries to go snorkelling or skiing every year. “Most people try to lead a well-rounded life and make time for what they love to do. It is not that tough, you know,” she concludes with a smile.